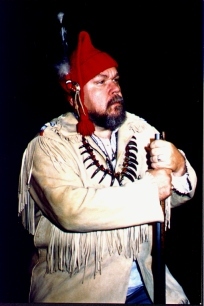 Here at Medicine River Trading Company, we create fully researched, one-of-a-kind wearing apparel for the re-enactor or collector who demands total authenticity. 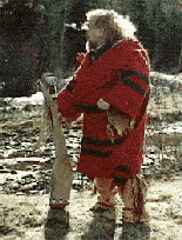 Though we specialize in American fur trade era, our traditional and Native American crafters can supply the needs of those who wish to recreate the periods from 1750 through 1900. Medicine River Trading Company is not just for the men. 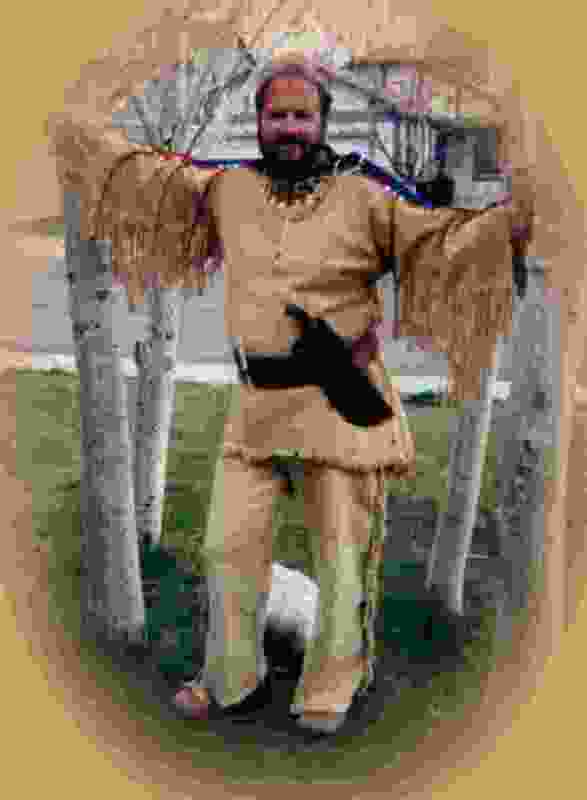 We also supply appropriate Native American and Frontier Women's clothing. From aprons to bonnets, buckskin dresses to beaded leggings, our ladies turn heads at rendezvous and reenactments wherever they go. Since each piece is one-of-a-kind, no two items will ever be exactly the same (with the exception of military uniforms) unless you want additional copies of your items. Since YOUR designs are secured, I have placed some of my own pieces, and those of clients who wish to share, here for you to get an idea of the quality of our work. Clothes for young and old alike- custom made - JUST FOR YOU! Young Women's beaded buckskin dress and studded belt. SOLD But we can make one just for you! All our Pima Cotton Fabric clothes are a natural white color, made one at a time on a sewing machine using heavy Pima Cotton. Double seamed and reinforced, pre-washed so order your exact size as there will be no shrinkage, and hot dying is no problem. 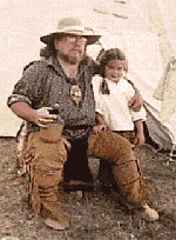 **We are proud to add more help with reenactors needs with the addition of Master Tailor and Costume Designers J.P. Soule and Amanda Page to our team of creative artisans. With J.P.'s expertise in military tailoring we can now offer historically correct uniforms and gear for reenactors in any time period from 1700-1900.